We are proud to offer the new Ford Edge near Mountain View, CA. This sporty SUV is loaded with convenient features. A hands-free liftgate and reclining 60/40 rear fold-flat seats can be adjusted to increase cargo space. See our full inventory of new and used Ford Edge models online, compare prices, vehicle details, color options and trim levels. For convenient Ford financing and leasing our auto finance team is here to explain your options for buying or leasing a new or used vehicle. We can also help you find used car specials and deals on certified used Ford Edge models for sale. Our state-of-the-art service center offers professional Ford service and repair including oil changes, tune ups, brake repair and much more. We run frequent auto service specials and coupons to help you save money on quality auto service and to help you keep your vehicle running perfectly. 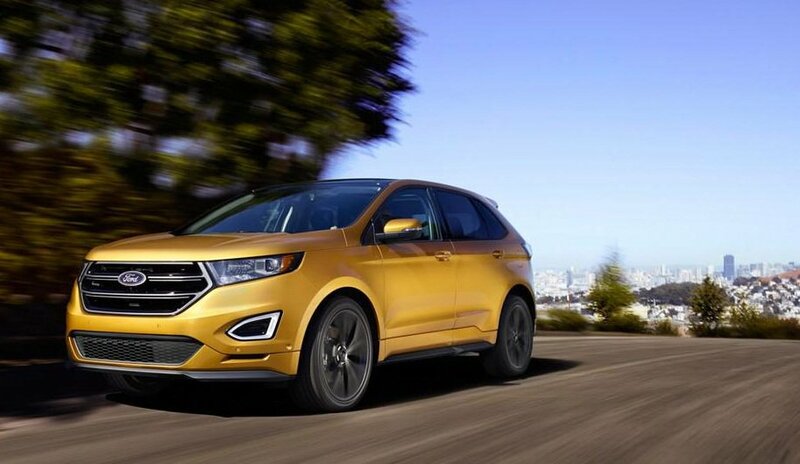 We invite you to come test drive the Ford Edge near Mountain View, Ca. Our team would love to meet you.